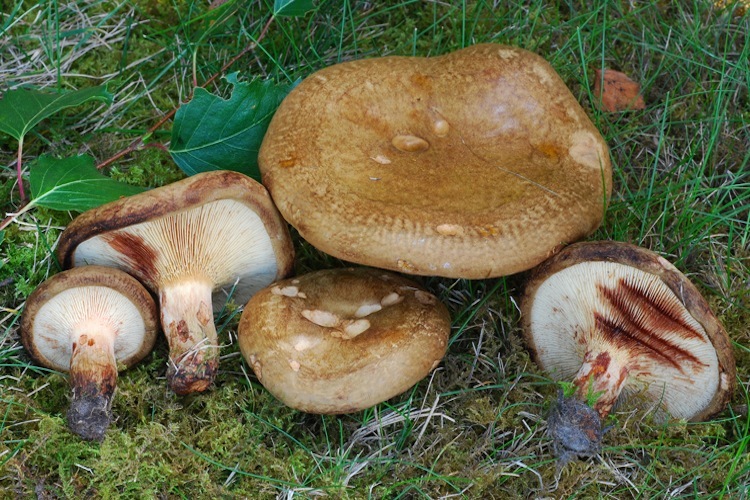 Paxillus are rather odd mushrooms, not the least because they are gilled members of the Boletales. 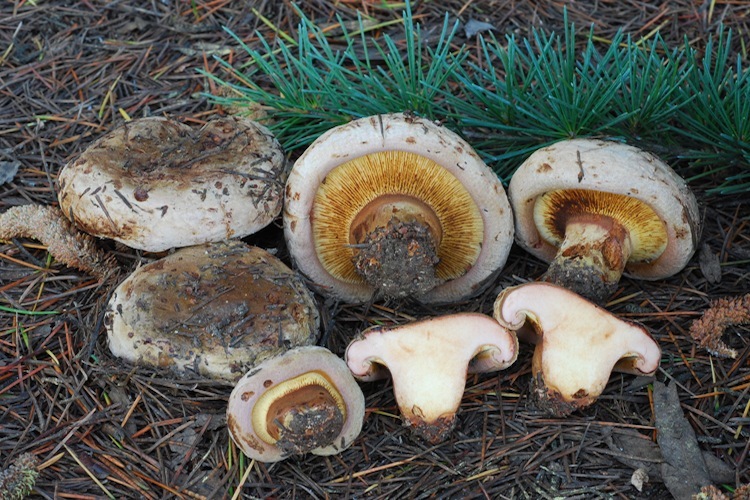 The fruitbodies are usually squat and sometimes massive, the caps are strongly inrolled and soft-felty when young (often metallic in age), the gills are decurrent and forked, and can be scraped away from the cap flesh in a single layer. The gills and flesh stain brown when bruised. 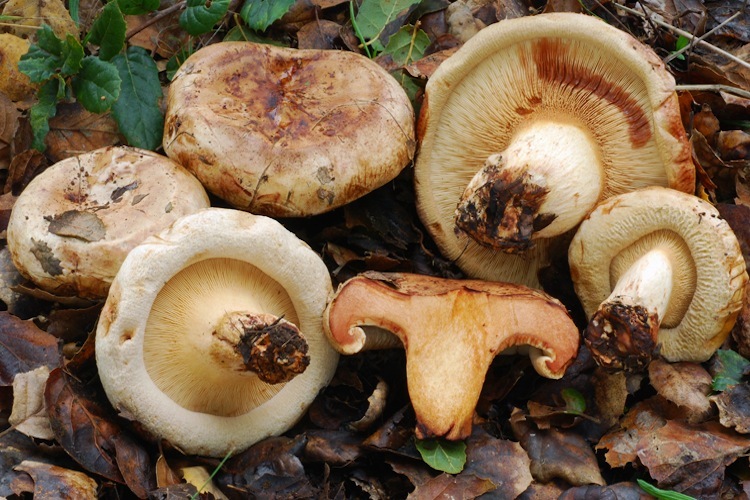 Although 'mostly' mycorrhizal and usually appearing so, members of this genus can apparently sometimes live outside symbiosis with a host tree, and are said to be 'facultatively mycorrhizal'. This is perhaps evidenced by the occasional fruitbody found emerging from decomposing wood. The species richness of this genus in California is uncertain, but it is definitely the case that many species are poorly known, and even the most common species remains undescribed (!). Important identification characters include stature, host trees/habitat, and microscopic features. Further research on the genus will likely turn up other important characters to pay attention to.